INACHUS aims to achieve a significant time reduction related to Urban Search and Rescue (USaR) phase by providing wide-area situation awareness solutions for improved detection and localisation of the trapped victims assisted by simulation tools for predicting structural failures and a holistic decision support mechanism incorporating operational procedures and resources of relevant actors. 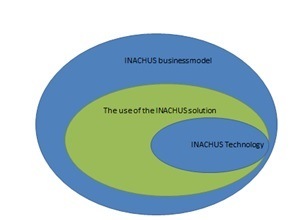 The main objective of this INACHUS Ethics –project (which is a part of INACHUS WP11) is to secure that ethical and societal issues will be taken into account in the technical system, user guidelines as well as in the business model of the solution. Aim is to promote ethical and societal justice and acceptability of the INACHUS solution. To investigate current state of the ethical and societal issues in the USaR. To define ethical and societal requirements for the solution, including the INACHUS Code of Conduct. To verify the application of the ethical requirements and user guidelines in pilots. To highlight the potential societal impacts of the proposed system and its business model, including Societal Impact Assessment (SIA).